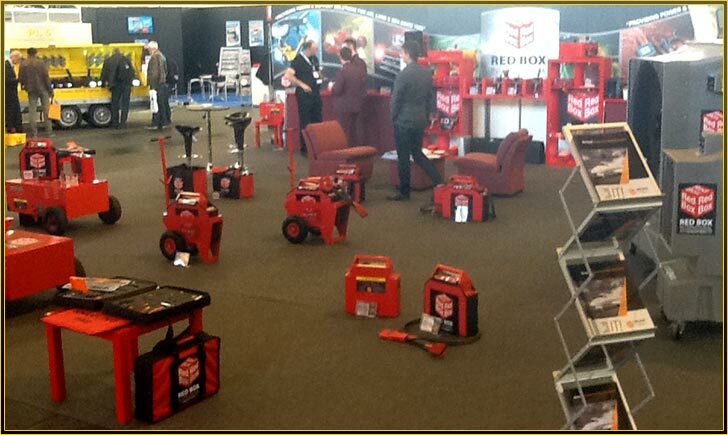 Red Box were chosen as the official Ground Power provider for the show held at Messe Friedrichshafen from April 9-12. Providing equipment for Vulcanair, Beechcraft , Embraer Executive Jets and Gulfstream – to name a few- resulting in over 20 units in use at the show, ensuring the aircraft had clean continuous power throughout. This year we had our new Distributors, WM Electronics at the show, who cover our Austrian and Swiss territories. Dietmar Wendl, Technical Director at WM Electronics, spent time with us getting further to grips with Red Box products. We will also be joining Dietmar and WM Electronics at EBACE 2014 – from 20-22 May- on their booth #3121. 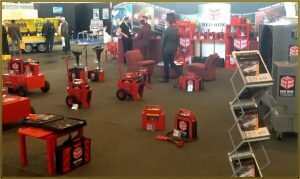 This year’s show was a resounding success, with our Cool-Space fans providing some welcome cool air in the exhibition hall for attendees. The coolers use forced air and water to reduce temperatures by as much as 10ºC. Fully portable- all they need is water and a 115V or 240V outlet.